Gameplay begins by creating a character of your choosing. This involves selecting from a variety of customizations, including race, cosmetics and your class. A main feature of Cube World is the random world generation. In contrast to many games, worlds are not designed by a level designer, but generated procedurally by the game using math and random numbers. The result is an endless world (nearly endless, i.e. players can't reach the borders), so players can explore new landscapes all the time. 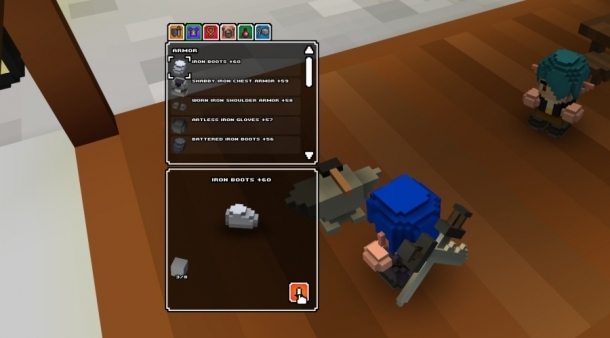 Classes determine the main abilities and traits of your Cube World character. The following races are playable: Elves, Humans, Goblins, Lizardmen, Dwarves, Orcs, Frogmen, Undeads. There are separate models for male and female characters. They also have different voices and there are no class-race restrictions. 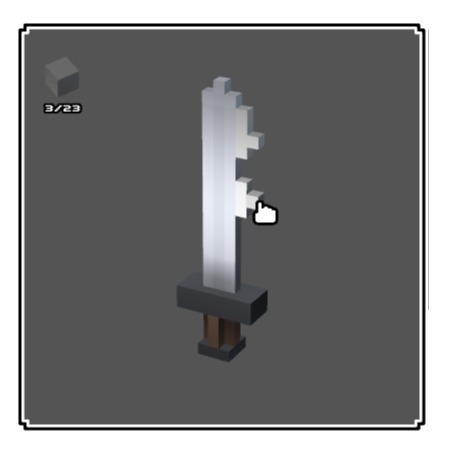 Weapons are items equipped to the player used to afflict damage. Classes limit what weapons a player can use. Weapons have no durability. Equipment is a name for items that can be equipped into the main equipment slots. Equipment can have different Rarity levels. Equipment includes weapons, armor and amulets. Armor and weapons can also change your character's appearance when equipped. Items can be obtained from enemies, treasure chests, missions, vendors. Apart from that, items are also craftable. 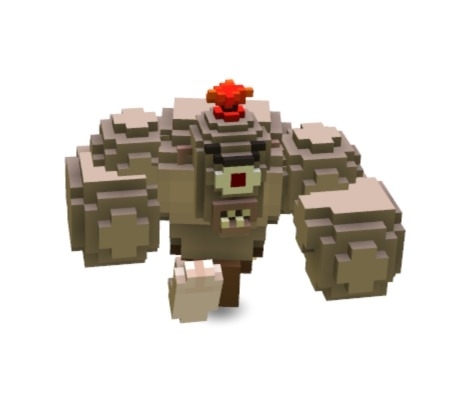 Mobs (short for "mobiles") are living entities besides the player in Cube World. They can either be friendly, neutral or hostile toward the player. Hostile mobs are capable of dealing damage to the player and vice versa. Neutral mobs will ignore the player unless attcked. Friendly mobs cannot be attacked. Most hostile mobs can be found inside dungeons, hostile landscapes, outside NPC settlements, or in wide, open areas. A Cube World server allows a user to host a world which others can join in order to play together. The maximum capacity for a Cube World server without any modifications to the official files is 4 players. Using seeds is a popular way to get certain items or level up your character - when you move from map to map, your character will have all the items, levels and pets it did on the previous map so you can hop from one to another to get what you want. CubeWorld does not currently support achievements.